An updated draft resolution on human rights in the Russian-occupied Crimean peninsula, which Ukraine formally introduced into the Third Committee of the UN General Assembly on Tuesday, October 31, has already received unequivocal support from more than three dozen countries that have become its co-authors. Speaker of the Permanent Mission of Ukraine to the United Nations Oleg Nikolenko provided information on the matter. 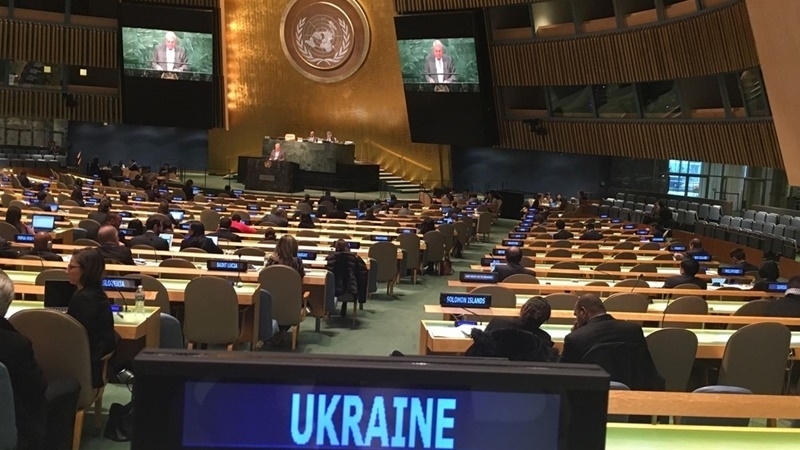 “Today in New York, the delegation of Ukraine submitted a draft of the updated resolution "The situation with human rights in the Autonomous Republic of Crimea and the city of Sevastopol, Ukraine" to the secretariat of the Third Committee of the UN General Assembly. As of now, the document was co-authored with 34 countries,” the Ukrainian diplomat stated. He further noted that a vote on the resolution in the Third Committee is scheduled for mid-November. After that, the document is expected to be put to a general vote at the General Assembly in December. “The updated resolution aims to consolidate support for Ukraine in the matter of de-occupation of the Ukrainian peninsula. In particular, it demands Russia to comply with the temporary measures under the order of the International Court of Justice regarding the abolition of the ban of the Mejlis of the Crimean Tatar people, and also stresses the need to provide education in the Ukrainian and Crimean Tatar languages,” the diplomat explained. Moreover, the document stresses "the need for access of international organizations to the occupied Crimea". Recall, at the end of last year, the UN adopted resolutions on the situation with human rights in the Autonomous Republic of Crimea and the city of Sevastopol (Ukraine) by an overwhelming majority of votes. Then, at the time of the first vote in the Third Committee (November 15), the document was supported by 73 countries, 26 voted against. Later, on December 19, the UN General Assembly finally adopted the document. 70 of the UN member states supported the resolution, 26 remained "against". According to the procedure, a simple majority of the votes is required for the approval of the document. QHA reported that Ukraine has prepared a number of initiatives aimed at increasing international pressure on Russia in connection with the repression in the occupied Crimea.